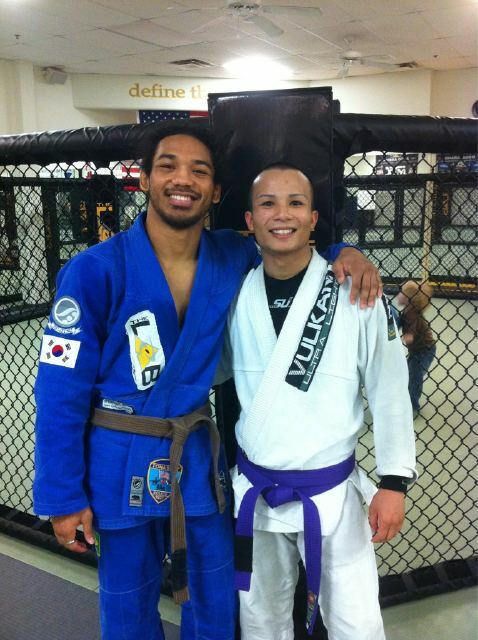 Jared Doctolero became the MMA Lab’s newest purple belt yesterday! Jared has been training for many years and is a great asset to our school. Good job Jared! Also, Kevin Scott, head instructor at Goodyear BJJ, welcomed his daughter to the world. Kyra Scott is doing great (as are Mama and Daddy) and we could not be more happy for him. Congratulations Kevin on the birth of your daughter! This entry was posted on Saturday, February 19th, 2011 at 4:14 pm	and posted in News. You can follow any responses to this entry through the RSS 2.0 feed. « Some New Videos Added! Your now on the target list for 2011.